The famous Whirley Pop is now available with metal gears and in red! Unlike the original Whirley Pop that has nylon gears in the turning mechanism, this new model has metal gears for stronger turning. 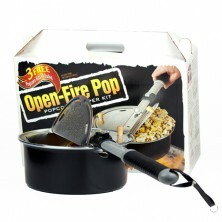 Better if you make multiple batches of popcorn, or if you use sugars and glazes in the pot as you pop. 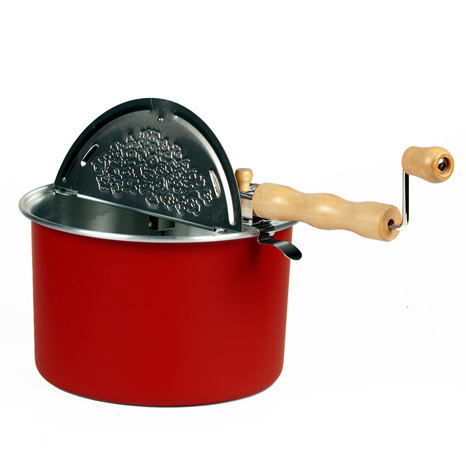 The red aluminum pot holds 6 quarts of the best tasting popcorn you can make! Add a little oil and 1/2 cup of kernels and heat at medium-high heat. Turn the handle to keep things moving inside and in about 3 minutes you'll have a batch of hot, delicious and crunchy popcorn. Clean easily with a paper town and you're ready for the next batch. The Red Whirley Pop with Metal Gears comes with a 25-year warranty on the turning mechanism (please see the FAQ). Summary: Red-coloured aluminum 6-quart pot, metal gears, shipped in a retail box. Safe to use, durable, and easy to clean. Not suitable for induction stoves. 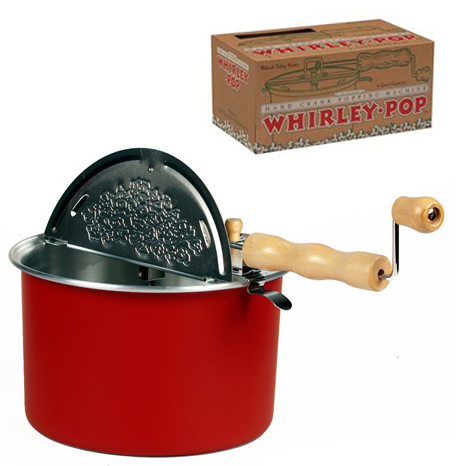 Please check out the Stainless Steel Whirley Pop if you have an induction stove. Since 2009 CornPopper.ca has been providing delicious popcorn products to Canadians, from east to west and to the far north! Personalized service, prompt shipping and delivery, and an ever growing line of tasty products has made CornPopper.ca the best online source for make-at-home movie theatre popcorn, seasonings, oils, kernels, and stove-top poppers in Canada!